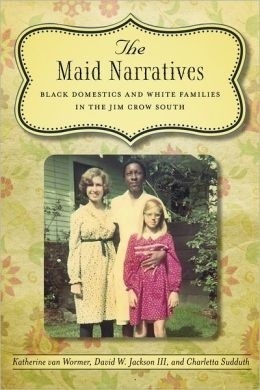 A new book from the Louisiana Press, The Maid Narratives: Black Domestics and White Families in the Jim Crow South “shares the memories of black domestic workers and the white families they served, uncovering the often intimate relationships between maid and mistress. Based on interviews with over fifty people—both white and black—these stories deliver a personal and powerful message about resilience and resistance in the face of oppression in the Jim Crow South.” The authors, Katherine Van Wormer, David Walter Jackson, and Charletta Sudduth deftly address the conflicts, paradoxes and realities of African American women who worked in white homes and adds significantly to the sparse information about African American domestics. Maizie Frazier Rumph Glover worked for several white families in Bamberg, SC and “did double duty” according to her son Thomas Rumph (see post Ironing) who vividly remembers his mother washing and ironing for these families. In this tribute we learn about her “other life”–not washing and ironing for others–of community, church and family. Mrs. Maizie Glover, widow of Mr. Willie Glover, and mother of Willie and Thomas Rumph, formerly of Bamberg. Was 98 years old on December 25, 2010! Often in this blog, I focus on relationships between African American women and the white families they worked for in the middle of the last century. But these women had full lives outside of their jobs. Usually I don’t have access to this part of their story. 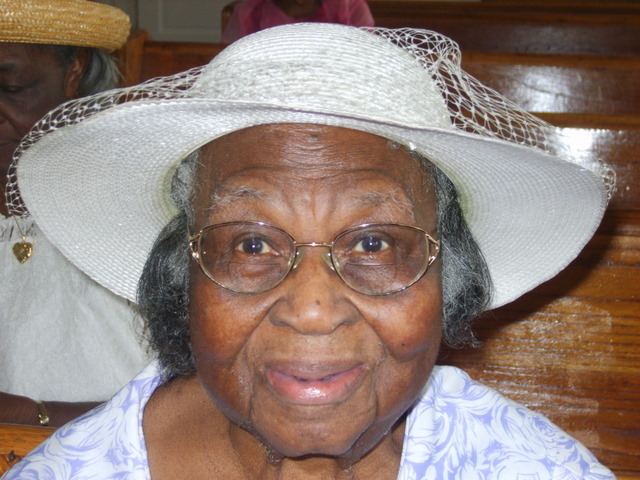 I am pleased to post a “Tribute To ‘Miss’ Maizie Frazier Rumph Glover” written by her daughter-in-law, Martha Rumph. 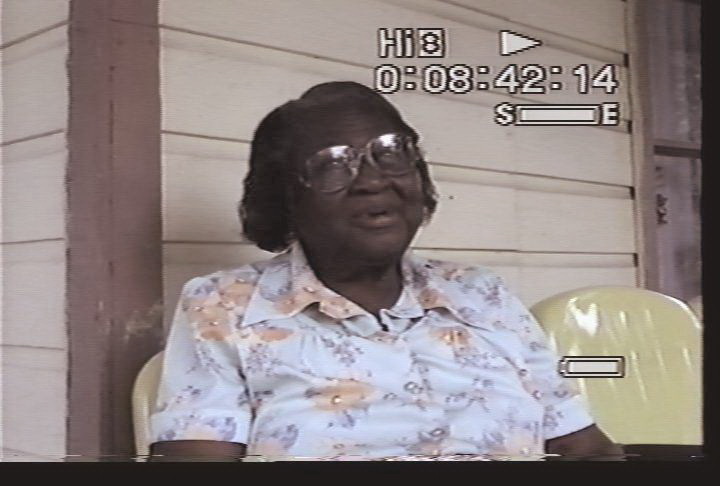 Mrs. Glover worked for several different white families in and around Bamberg, SC. The post “Ironing” is a description of her special technique for ironing clothes with a fire heated iron. There is also a post of another tribute published on her 98th birthday. According to The Maid Narratives: Black Domestics and White Families in the Jim Crow South, “Cleaning clothes over a washtub, bleaching, starching, and pressing them with heavy irons was grueling work that could take all day.” Several narratives I’ve collected describe the backbreaking but precise methodology of ironing. 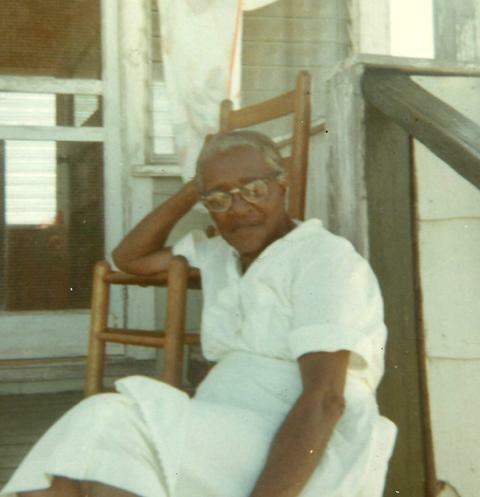 Thomas Rumph’s mother Maizie Glover worked for several white families in Bamberg, SC in the mid-century, and Thomas vividly remembers his mother’s specific technique for ironing. “Mom shared a double duty, the white families that she actually [and] indirectly worked for as what we called a housekeeper or maid. She also washed clothes for other whites. She ironed clothes (what we called a smoothing iron) hand held. 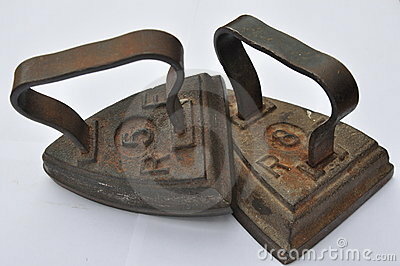 After you took a towel to pick the iron up with, she would rub the iron a piece of cedar limbs to put a coating on the iron, then rub it on a piece of old clothing before ironing the clothing; this method worked until the iron cool off then you would have to put it on the fire near some hot ashes to reheat the iron. This was a repeated process until all the ironing was done. A friend of mine recently read some of the posts on the Just Like Family blog and offered the following. I was not raised by an African American woman, but we did have maids who cleaned for us throughout my childhood. The interaction was strange and strained…my parents were not welcoming. Although my mother was not vocally derisive, she did not seem to appreciate having them in our home. She was not interested in house-keeping, and my father, who was and is more outwardly racist, demanded that she hire someone to clean. Despite my parents, I’ve had numerous close friends who are African American. When I moved to Colorado, my partner in the adventure, was Jonathan, a black friend I met in college in Lafayette. 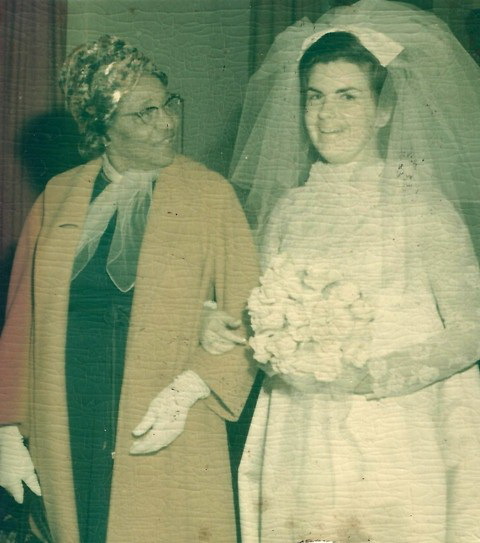 During Black History Month of this year, the Star-Ledger of New Jersey featured interviews with African Americans whose mothers took care of white children as well as one white adult who had been raised by an African American woman.